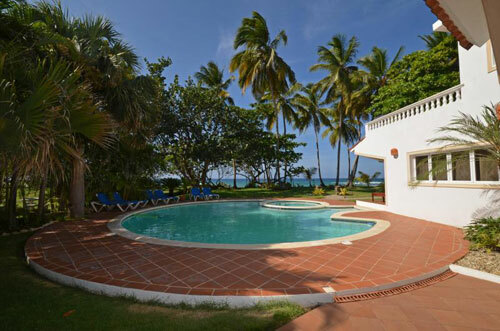 Located in the beach front in a secured gated community 20 minutes from Puerto Plata International Airport . 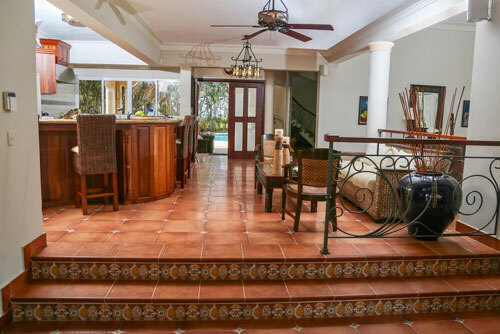 The Villa has breathtaking views of the water as you enter the two story foyer. 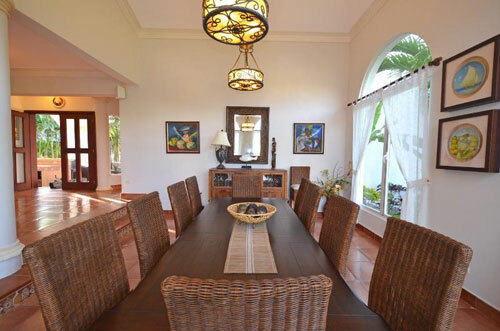 The Villa is open and airy, furnished with impeccable style and taste. There is beautiful art work throughout and iron chandeliers illuminate the Mediterranean decor. 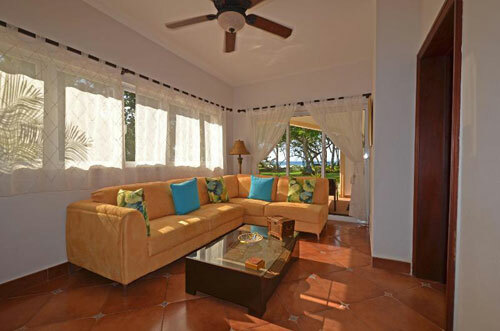 The property has 5 spacious bedroom suites with individual bathrooms. 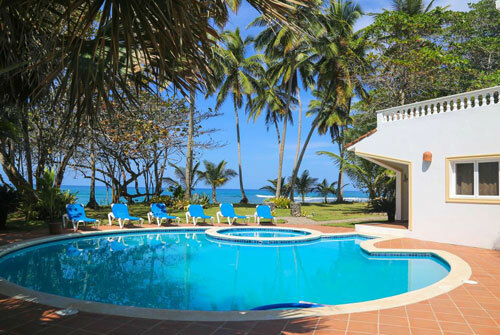 They all have access to either a covered patio or terrace , perfect spot for that morning cup of coffee. 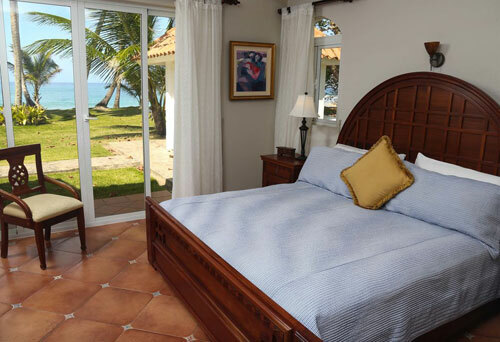 In the main level king master suite you will awaken to blissful view of the water . 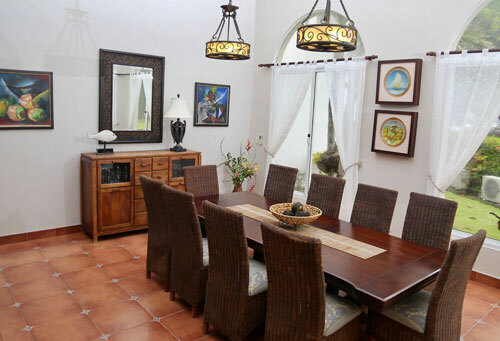 This suite is furnished in handcrafted mahogany of spanish design. 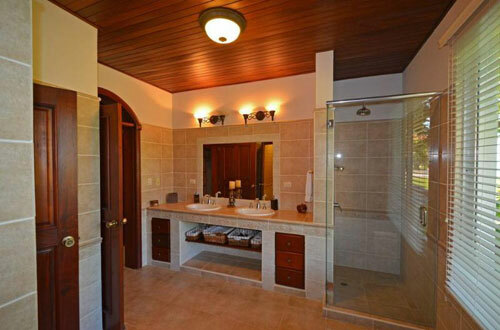 The large bathroom is adorn with Italian tile , Epoca free standing tub, oversized glass shower and expansive window overseeing the lush gardens. 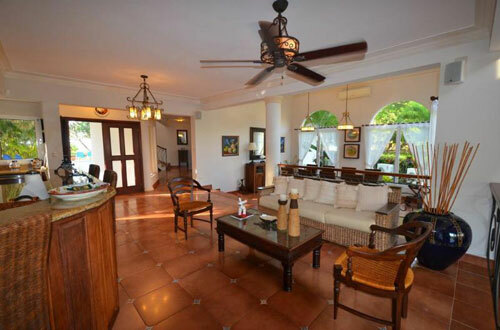 You will reach the second floor king master suite by the stunning spiral staircase , this suite opens to large ocean terrace overlooking the beach. 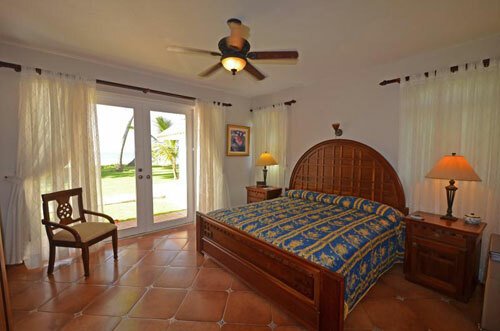 Located on the main level are two more king bedrooms and the fifth bedroom with 2 queen size beds. 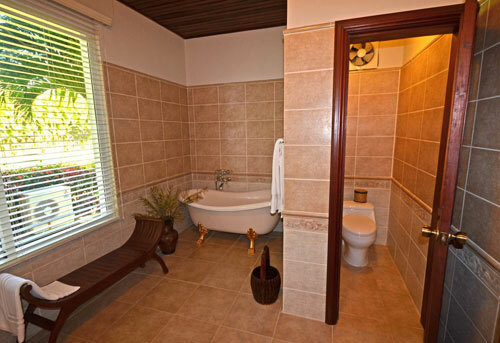 All bedroom suites have large mahogany closets , compact refrigerator and Italian porcelain bathrooms with glass showers. 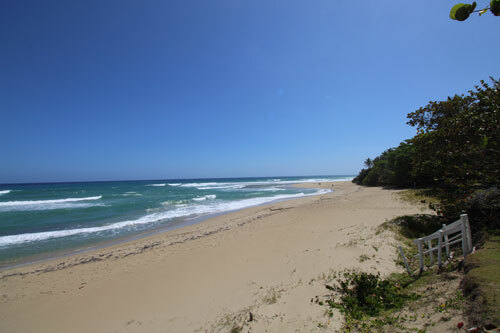 This beachfront home for sale in Dominican Republic with its ocean front location is a true gem. 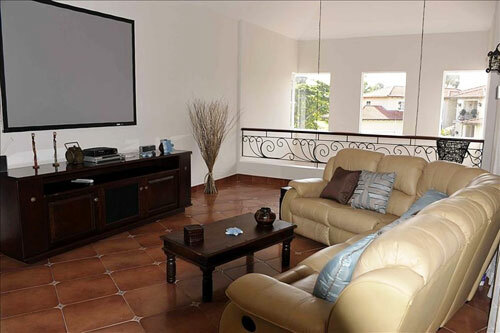 The villa is sold fully furnished and with all appliances and fittings.